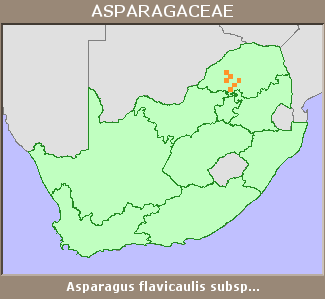 Asparagus flavicaulis (Oberm.) Fellingham & N.L.Mey. subsp. setulosus (Oberm.) Fellingham & N.L.Mey. Protasparagus flavicaulis Oberm. (in part), Protasparagus flavicaulis Oberm. subsp. setulosus Oberm.